Young Texas Artists Music Competition (YTA) is an internationally recognized official music competition of the state of Texas and career development program for emerging classical artists. Also a valued community contributor, YTA offers free or low-cost cultural opportunities for the public. ICM Graduate student one of six finalists. Only finalist from America. Placed fourth. Winning the first Tchaikovsky Competition in Moscow at the height of the Cold War in 1958 brought Van Cliburn unprecedented celebrity for an American concert pianist. Cliburn’s international victory instilled a fresh sense of artistic pride in many Americans, while opening the door to a new era of cultural relations between East and West. The Van Cliburn International Piano Competition was established shortly thereafter in 1962 to perpetuate Van Cliburn’s unique legacy of demonstrating how classical music, in the hands of a master, has the appeal to reach across all borders. The quadrennial Van Cliburn International Piano Competition is considered one of the worlds most prestigious and grueling piano competitions. Hundreds from around the world apply but only 30 pianists are invited to compete. The Cliburn Competition is one of the few musical events in the world to arrange for competitors to stay with host families. The resulting southern hospitality has become a trademark of the Cliburn Competition. Held annually in various establishments throughout New York, New Jersey, Pennsylvania, Massachusetts, New Hampshire, California, Canada, Europe and Asia, Crescendo International Music Competition is open to all instrumentalists (Piano, Strings and Winds), duets, ensembles, and vocalists ages 5-22. One selection of Baroque, Classical, Romantic or Modern work must be chosen and performed from memory. Silver Medal, Collegiate Piano Division, 2013. Over eight days, a feast of spellbinding acts of virtuosity, heartstring-tugging treasures and heroic masterpieces are performed by 16 of the world’s finest young violinists. The “Michael Hill” is recognized as one of the most sought-after international violin prizes and the careers of future musical legends are launched here in New Zealand where they compete for a prize package valued at over $100,000. The Queen Elisabeth Competition is for musicians who have completed their training and who are ready to embark upon an international career. Established in 1937, the Competition soon became one of the leading international competitions for the violin and the piano; later, it was extended to include composition and (since 1988) the voice; beginning in 2017 it includes the cello. The Queen Elisabeth Competition owes its reputation in part to the very strict rules under which it is organized, but it also owes much to its prestigious jury, made up of outstanding artists and internationally renowned educators. The Kansas City Symphony invites students between the ages of 13-18 to participate in the 2018 Woman’s City Club Charitable Foundation Young Artist Competition. Nearly $2,000 in prize money and the opportunity to perform with the Kansas City Symphony is awarded. Selected finalists perform in February each year at the Kauffman Center for the Performing Arts in Helzberg Hall. Established in 2010 and sponsored by the Friday Morning Music Club Foundation, the International Johansen Competition is held for students of violin, viola, and cello, ages 13–17 years annually in Washington DC. The KING-FM Young Artist Awards, presented in partnership with the Seattle Chamber Music Society, is now in its sixth season. It strives to give talented young musicians a bigger stage as part of the radio station’s promise of support for arts education, community partnerships with the arts, and live broadcasts. Through a combination of world-class judges and listener votes, 10 finalists are chosen and perform live on the air before a winner in each of two age divisions is crowned. The 2017 Young Artist Awards competition is presented by Classical KING FM 98.1 in partnership with BECU and the Seattle Chamber Music Society. The Missouri Southern Competition was a biannual international piano competition organized by the Missouri Southern State University first held in 1987. It was dissolved in 2008 following the retirement of its director, Vivian León. Senior Division: First Prize, 2006. Junior Division: First Prize, 2008. Third Prize, 2006. Conducted through the Wichita Symphony Orchestra, One person is named the Naftzger Young Artist and wins $5,000. Three other division prizes are awarded $2,000 each, and four division runner-up awards of $500. The International Tchaikovsky Competition, first held more than 50 years ago, is not only a valuable asset of Russian musical culture but is also one of the major events in the international music community. The International Tchaikovsky Competition is held once every four years in June and July in Moscow and St. Petersburg in Russia. 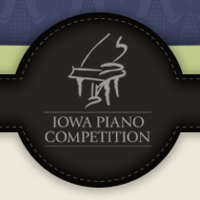 The Iowa International Piano Competition is an intense three-day competition annually in March hosted by the Sioux City Symphony Orchestra in Sioux City, Iowa. For 57 years, the Cincinnati-based World Piano Competition has introduced some of the most talented pianists in the world to the Queen City. 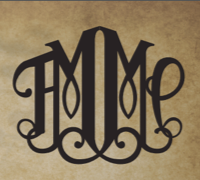 Our mission is to promote and celebrate the art of classical piano music. Held annually by the Gina Bachauer International Piano Foundation. 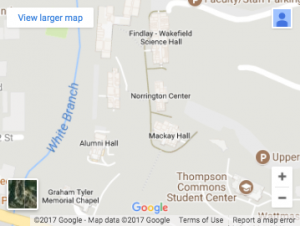 The International Institute for Young Musicians International Piano Competition takes place in July in Swarthout Recital Hall located on the campus of the University of Kansas in Lawrence. The IIYM International Piano Competition serves students, families, and teachers who are passionately committed to the art of piano performance. It is a celebration of their talents and an opportunity to gain recognition, enlarge their experience and compete for scholarships and cash prizes. The semi-final and final rounds of the competition are free and open to the public. A piano competition conducted annually by the Musical Association ALLEGRO VIVO. The objectives of the of the nonprofit organization Allegro Vivo are the promotion of musical culture and artistic activities in general in San Marino and abroad, using also exchanges with other countries. Conducted by the Music Teachers National Association. Competition Categories include Piano, String (Violin, Viola, Cello, String Bass) and Woodwind (Flute, Clarinet, Oboe, Bassoon, Saxophone), Piano. Awards made possible by Kawai America. Kansas State Competition: Junior Division First Prize, 2006. National Competition: Junior Division State Winner, 2005. Outstanding pianists from throughout the United States and foreign countries, and from major music schools have been attracted to the Competition. Nationally and Internationally known pianists and conductors are chosen to be judges. Park ICM Founder and Artistic Director, Stanislav Ioudenitch, won the Nena Wideman Piano Competition in 1998.